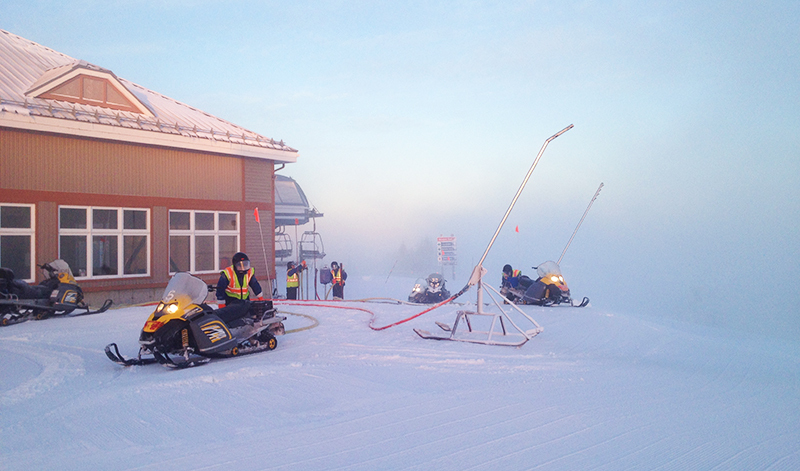 As of Friday, December 11, 14 freshly groomed trails are open along more than 12 km of ski terrain. The additional trails include the Nansen Haut and Mi-Chemin, which will be transformed into a temporary snowpark. Despite slowed down snow production due to mild temperatures, we are proud of the quality of surface conditions throughout the ski area. Our top-notch Mountain Operations Team continues to provide quality trails and will take every opportunity to start up the snow guns at full blast. We assure you that every effort will be made to deliver additional skiable terrain! In the meantime, the current conditions are quite beautiful and spring-like. 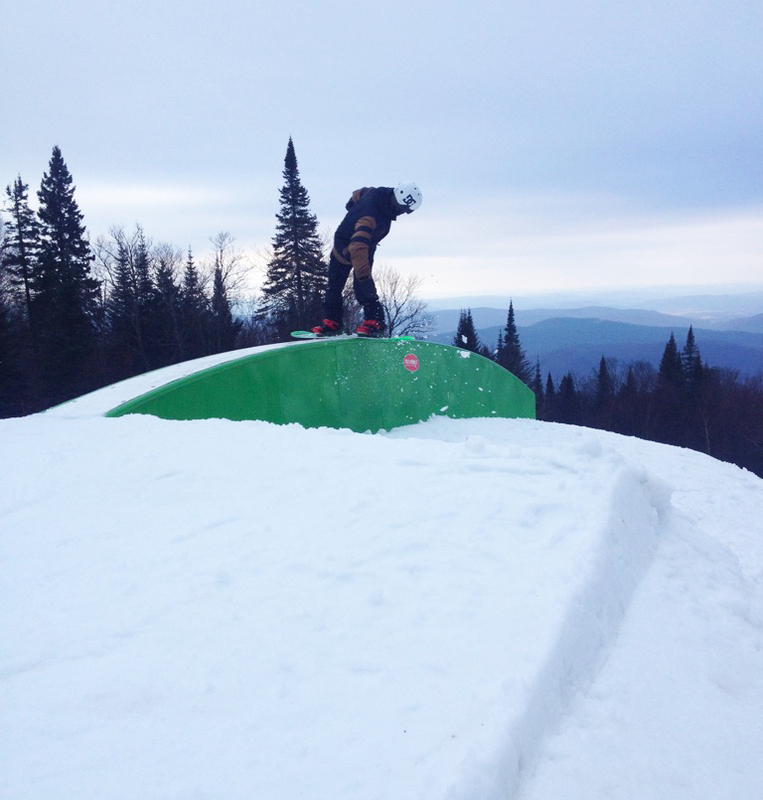 This weekend, skiers and snowboarders can take advantage of two separate snowpark zones. In progressive opening on Friday, a line of 6 large modules will be offered to park enthusiasts in the Nansen area on the South Side. 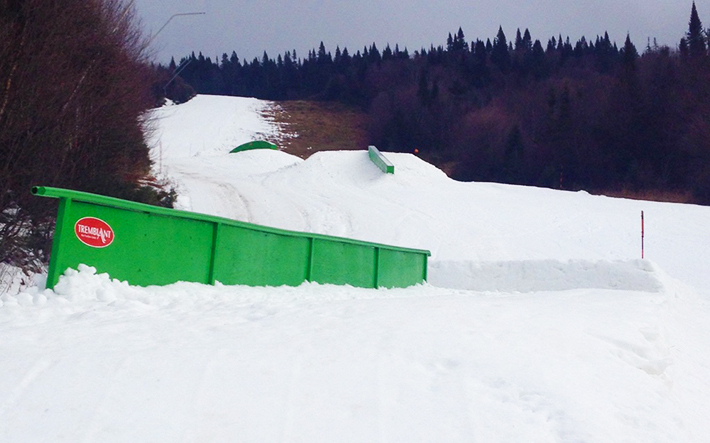 On the North Side, as of Saturday morning you can have fun in the Beauchemin Haut trail with 3 small-size modules. 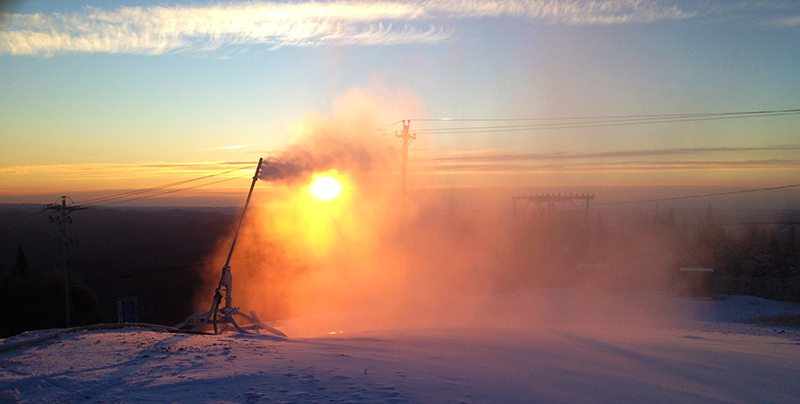 Plus, don’t miss our first Super Demo Day of the season. Plenty of top brand names will be there on Saturday, so come test out some new equipment! * Note to alpine tourers: Until further notice, there will be no alpine touring on the mountain because of limited slope space.